One of my favorite blogs ever is about a cat named Maru. 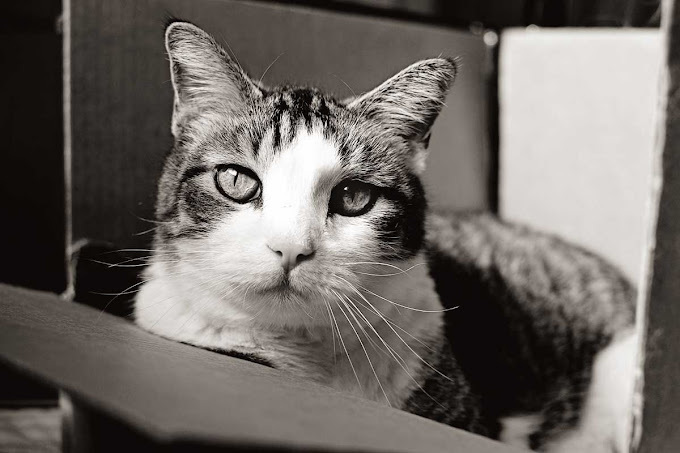 I don't know much about Maru or the author of the blog because it's written in Japanese. 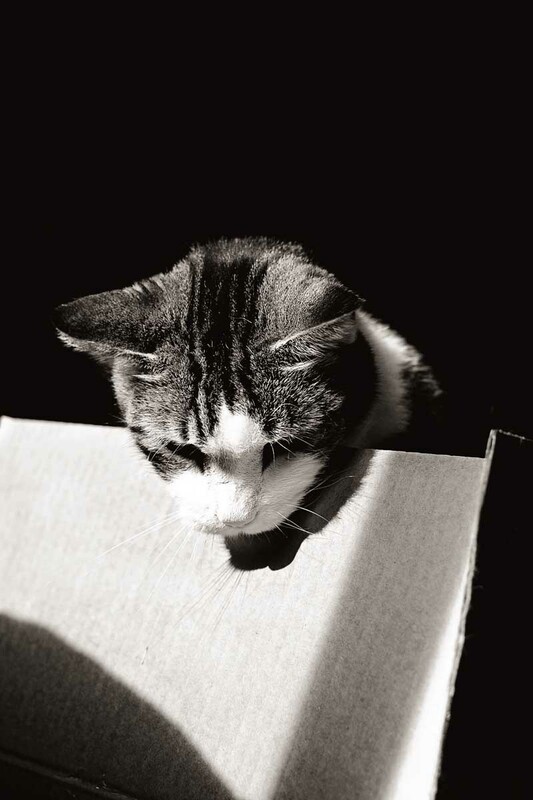 The author posts pictures of Maru every day, showing Maru playing in a box or hiding in a paper bag or just being Maru. The pictures tell the story and always make me laugh, but there's a second layer of humor to be found in the English translation of the Japanese captions. I'm not sure if the author is doing the translating or if Google is doing it automatically, but it cracks me up. Anyway, from the looks of Maru's home page, it appears that he has two books for sale on Amazon and a DVD. 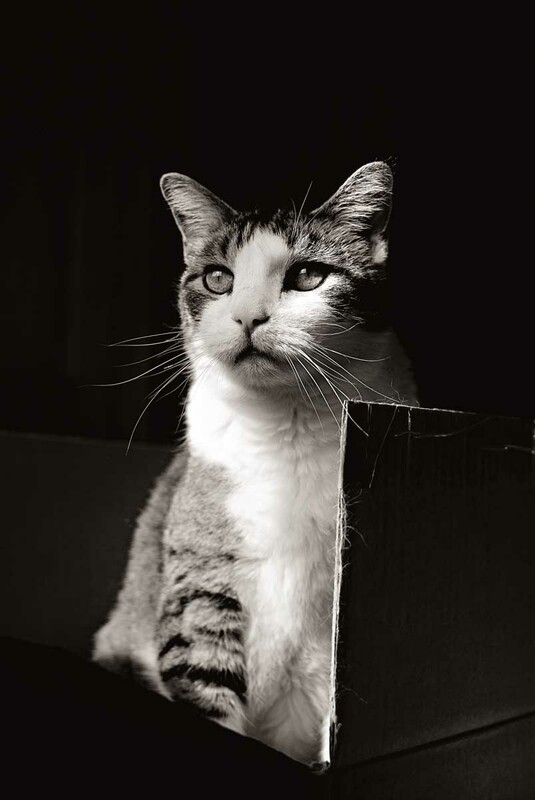 He may very well be the most famous cat in Japan, and he is certainly earning his keep, just by doing silly things in a cardboard box. That got me thinking that maybe I could replicate the Maru phenomenon here in the U.S. with one of my cats. Snapper met me halfway and climbed into the box, but he didn't find the humor in it. Snapper: What's in it for me? Me: 15 minutes of fame? Snapper: I'm not interested. Now let me out of the damn box. If only I could get any of my animals to do something that would help earn its keep. We have a cat who likes to sleep in a box lid - even though he doesn't quite fit! Well, at least he let you take a couple of shots. He's beautiful in black and white! The translations were a hoot! Americans are overexposed to the Fifteen Minutes of Fame phenomenon. HA! That's funny. My little cat, Daisy, would probably cooperate with a box because she likes to curl up in small places and she isn't that big anyway! I may have to give it a try! Snapper is very photogenic. I like his expressions better than Maru's. Plus, you are an excellent photographer. When's the book coming out? Snapper is a real cat. He has no interest in entertaining humans. They are purely here to wait on him. Dogs have masters, cats have staff. Snapper should be on the cover of kitty GQ with that handsome kissable face :) Love the B&W effect. Ha! 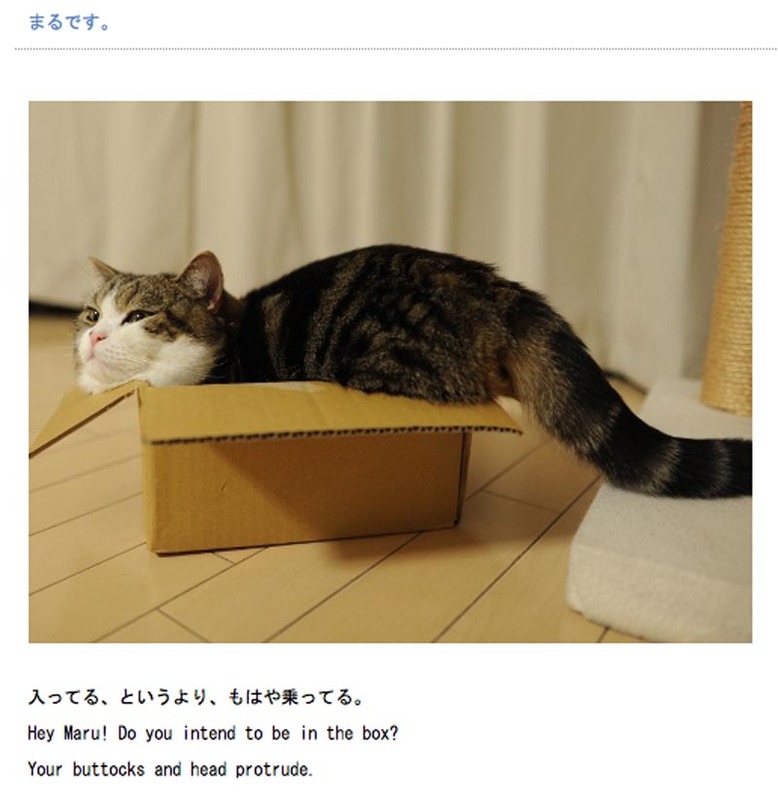 I also love Maru and I'm amazed at how much he loves his boxes. I love the last picture of Snapper and the shadow of his nose and whiskers. LOL on those translations! Sorry your cat didn't oblige. Snapper is a cat's cat. Love the B & W! Well, the fame thing may not work out, but the photos are beautiful! I bet if you could find a REALLY big box that George and Alan would put Maru to shame. My cats love a good box. I've been meaning to ask about Deets. I only check in periodically, but haven't seen anything new. Is he still around? Disdain. Utter disdain. It's what cats do best, doncha know. Good that Snapper talks with the eyes and not with words. The photos are beautyful. Snapper is a model. Maru is a very special cat. I also like the blog because of the funny dialogues. I tried it too. My cats just looked at it and went back to playing with a twist-tie. Stewart Little who lives with my folks, loves any kind of box! He won't share it with his brother, in fact he makes his brother get out of the box so that he can continue his nap. He'll eat and use the sand box, then come back to finish up doing whatever it is that en"tails" his box. I love your version. Beautiful, artistic photos. Maru is one of my favourite channels on You Tube :D.